There are four classes of concept cars. Those that were never intended for production but merely built to cast a positive light on the car company. Those that were never intended for production but were built as experiments to refine aerodynamics, engineering, or technology for other subsequent models. Those that were built to gauge public opinion on their worthiness to enter production. And lastly, those that were fully intended to go into production but were killed off for one reason or another, such as internal company politics, cost, negative public reaction, faulty engineering or appearance, or economics. Here then, is Part 4 of our continuing tribute to those worthy cars that unfortunately never made it to the assembly line. Not a big fan of video games (I prefer the real thing to video) I was rather surprised to find that this car was first just a virtual design for a driving simulation called Gran Turismo. It was so good that Poliphony, Gran Turismo’s developer, and Citroën collaborated in making it full sized in real life. And it was a good thing, because the GT is absolutely fantastic when made of metal and plastic instead of digital 1’s and 0’s. So at least one good thing can be said about video games – they produced a gorgeous concept car. In fact, the real life-sized product is so marvelous that Citroën was going to actually build and sell a handful, with an asking price of better than $2 million. Each. But as of yet, that has failed to happen. Even though I’d never be able to afford one, it is still a pity. Another gem from what I consider the Golden Age of concept cars, the 1950’s, heavily influenced by another invention relatively new at the time, the jet aircraft, as so many others of that era were, the Buick LeSabre was designed by the godfather of concept cars, Harley J. Earl, mentioned previously in this list as the master of the Buick Y-job. 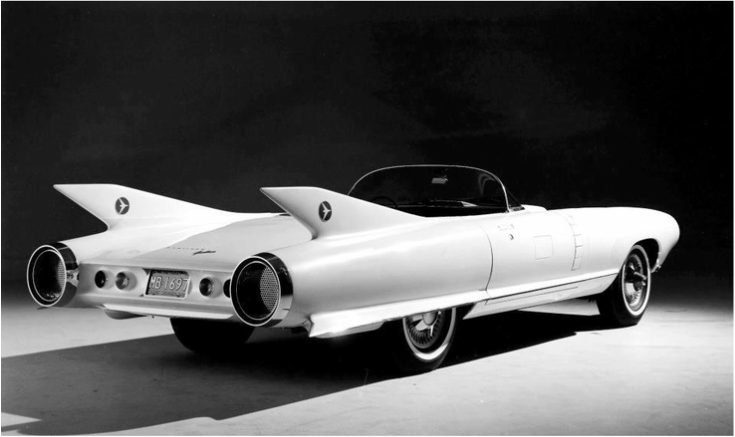 For years to come many such cars followed this innovative design in mimicking a jet fighter, with jet-like air intakes, wings, fins, and tailcones. As a matter of fact, it was named after the North American F-86 Sabrejet fighter. In addition to its stylistic and visual innovations, the 51 LeSabre also incorporated technology years ahead of its time that would only become commonplace on cars much later. But alas, it was one of a kind. 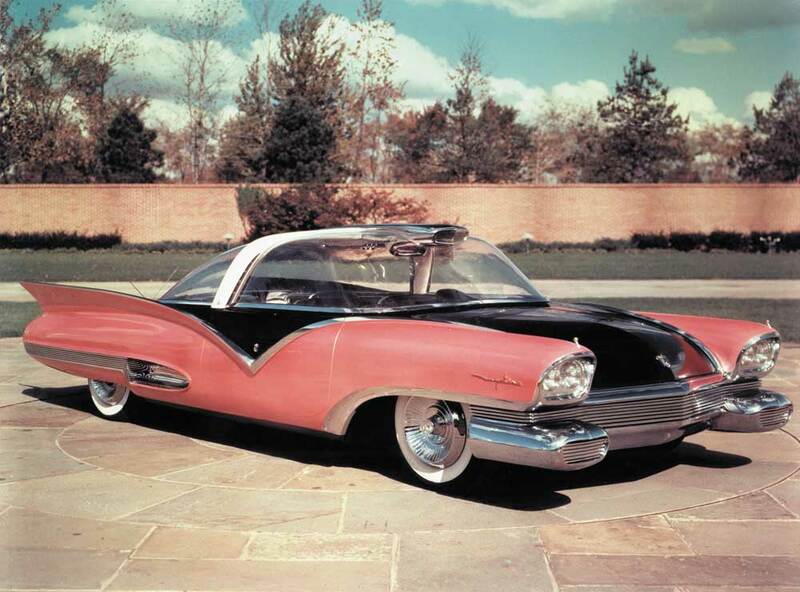 When Buick finally used the name years later, the car they called the LeSabre had next to no resemblance to Harley Earl’s concept car save for wing-like tailfins, though LeSabre did become Buick’s best selling label ever. Something to do with the legacy of the 51 concept? The Cien, Spanish for 100 to commemorate the line’s 100th year of existence, was another departure for Cadillac from luxury into sports and performance, something they should do much more often and on a much greater scale, because when they do it, they do it well. Though they never seem to actually put any of them into production. 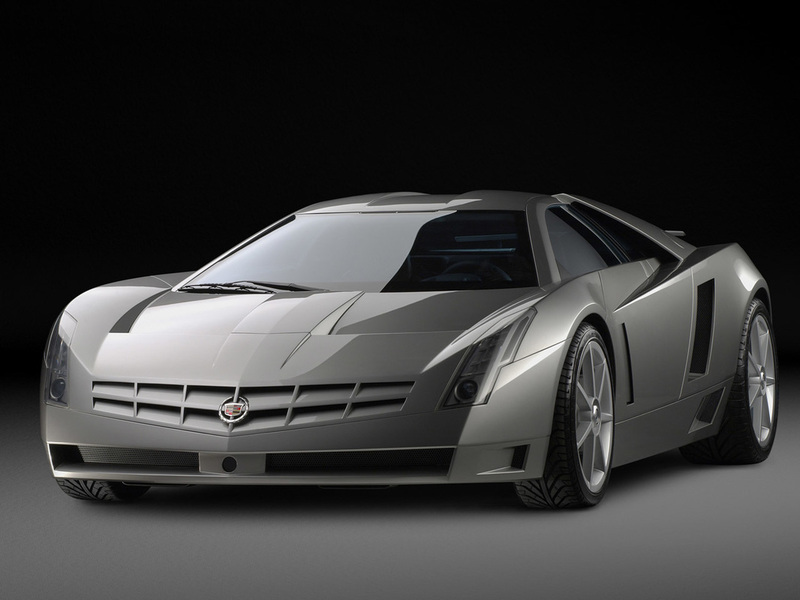 I could think of little that would revive the Cadillac brand to become the envy of the automobile world, as it once was, than by building a supercar to rival Bugatti, Ferrari, Lamborghini, and Alfa Romeo. It seems they keep trying with cars like the Cien and the Sixteen, but they never follow through and build the things to sell. More the fool them. 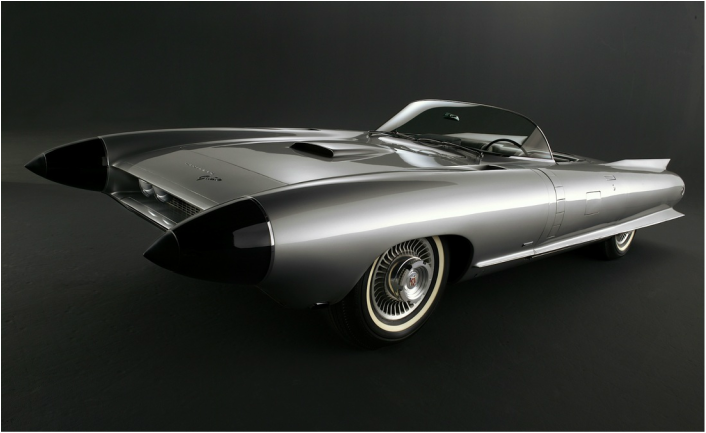 If it hasn’t yet become apparent that the 50’s were a Golden Age for concept cars and that a large number of those cars were inspired by jet aircraft, along comes the 1959 Cadillac Cyclone, complete with bubbletop canopy and twin fuselages with nosecones, tailfins, and low-slung wings. You might also have heard the name Harley Earl mentioned a time or two. This was his last concept car before he retired. Like many of Earl’s cars, it was not only bold in appearance, it also offered innovative technology, some of which is still not available on cars in 2015. Also typical of Harley’s special conceptions, it was never made en masse, though bits and pieces of it were borrowed to be incorporated in other subsequent models not even related to the Cyclone. Too bad there is only one of them in the world. I’d love to see more Cyclones on the roads. 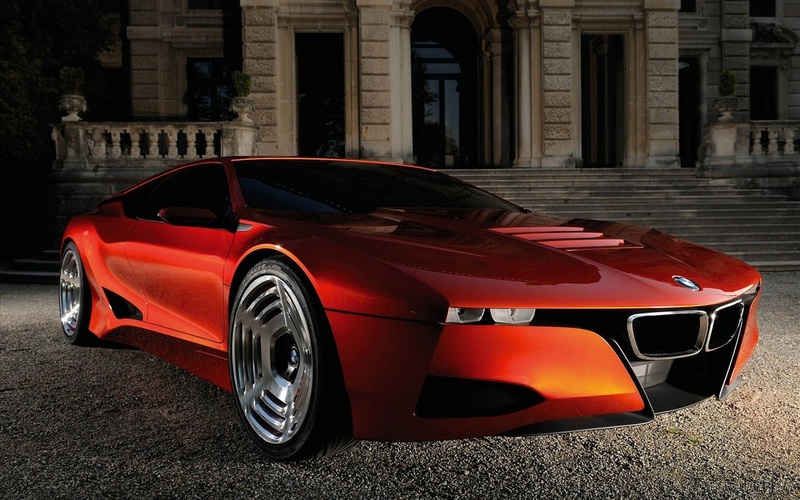 So called because it is a retro concept paying homage to the original BMW supercar, the M1 of 1978-1981. That car was built for racing and while it wasn’t so great in that field, it did however obtain a cult following among civilian enthusiasts. Though this M1 was a single shot built in 2008, supposedly BMW is coming out with a production model M1 in 2016. If concept car history tells us anything, the 2016 production car will barely resemble the M1 Hommage, which is a beauty in and of itself. Yet another jet-inspired car from the 50s, this one by Ford, the Mystere stood out in many more ways than its bubbletop canopy. Among the innovations incorporated in this design that were light years ahead of its time, the engine air intake was a submarine periscope-style scoop on top of the passenger dome. It was steered like an aircraft by a joystick that could be switched over from one side to the other, I suppose so you could switch driver and front seat passenger without having to get out of the car and change seats. I also suppose that could come in handy when crossing the border from left-hand-drive countries to right-hand-drive countries and vice versa. In the back were a radiotelephone and a TV set embedded in the back of the front seats. As I said, light years ahead of its time. Much too far to be put into production in 1955. It was way too cool for those days. Ford says its GR-1 concept traces its lineage from the Ford GT and the Ford Shelby Cobra, though it resembles neither and seems to be either a crossbreed or a compromise between the two. Whichever, it is sleek and fast as a cheetah with its front-engine, fastback design. 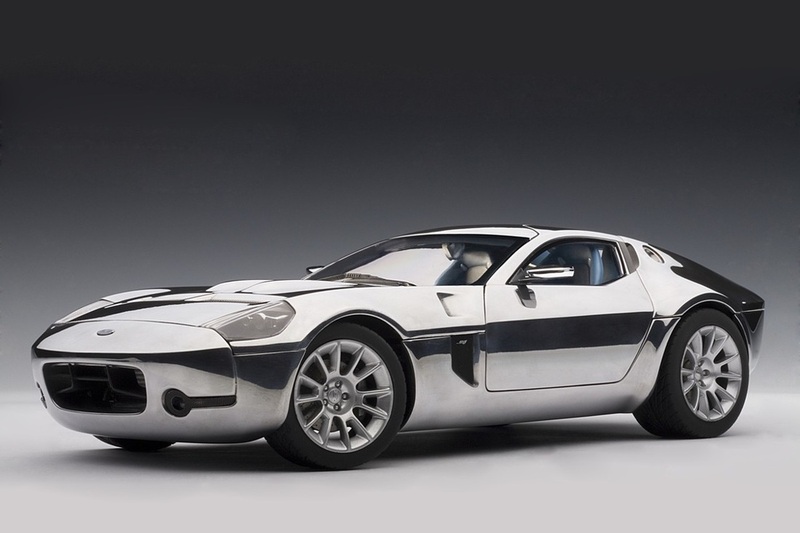 Though Ford actually produced the GT, as it surely should have, and didn’t the Cobra, which is just as well, it probably would’ve been better to make and sell the GR-1 after the GT ended its run. Maybe not as flamboyant as the GT, the GR would’ve been a worthy successor. 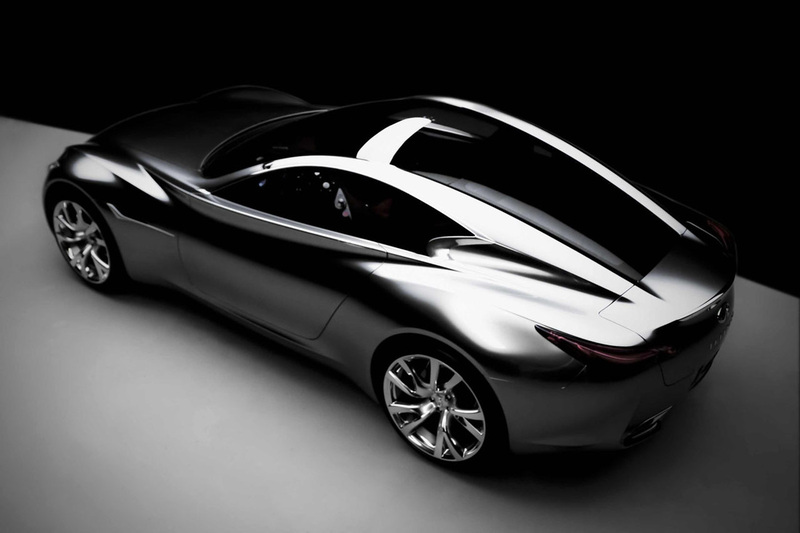 The Essence was built by Infiniti to celebrate twenty years of existence and like most concept cars, was never even intended to be produced for the masses, but rather as an experiment and a company showcase. Also like many concept cars that never made it to the assembly line, many of its features were incorporated into subsequent models with no credit being given to the experimental prototype. Which is a pity because it is by far the most handsome car Infiniti has ever conceived. Like the only racehorse in a stable full of generic, everyday working draft.